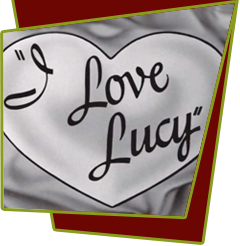 Lucy's been asked by Photoplay magazine to write an article entitled "What It's Like to be married to Ricky Ricardo." In the midst of her writing, a press agent from M-G-M, Ross Elliott, calls to let Ricky know he will be hosting a coast-to-coast TV benefit for the Heart Fund. Naturally, Lucy wants to appear in the show, but Ricky turns her down. She resorts to a little "friendly" blackmail. Unless he allows her to perform, she is going to rewrite the Photoplay piece to imply that Ricky Ricardo "is a dirty rat". They rehearse a counterpoint arrangement of "Old Folks at Home" (aka "Swanee River") and "Humoresque," but Lucy can't seem to get it right. Next, Ricky offers her a spot in the Spanish dance number, playing the bull to Ricky's matador. Ethel: "For once, the bull will be full of Lucy!" Displeased with the turn of events, Lucy transforms the bull's image from that of a snarling beast to a minicing creature resembling Elsie, the Borden cow. The benefit show, broadcast from CBS Television City, features Fred and Ethel singing "Dear Old Donegal" and Lucy upstaging Ricky during the bullfight scene.